When you comment on blog posts and it doesn't show up, don't worry! I need to accept them to see if they are good comments. In order to protect this site from haters that is. So some blog comments don't have as many comments because I have to go through SO MANY!!! I only pick a few of them. As you can see, 18 comments at most does NOT match how many hits we've gotten in the past few years. Which is, amazing by the way. 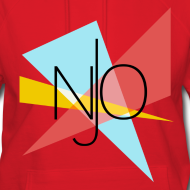 We are the #1 Jonas Fan Site EVER!!! 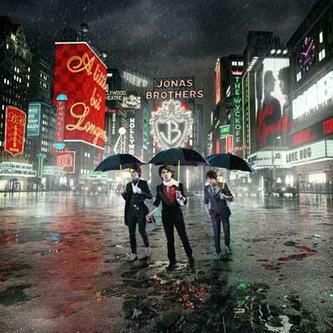 I will be putting up more facts about the Jonas Brothers because I'm not sure that they're done yet. Also, I know the Gallery is not finished. I will be trying to finish that in the next few days. I will be leaving for the beach on June 26th. So I will be gone for 7 days. I will, when I get back, put up all of the details for you. So, tonight I will be accepting some comments into my blog posts and then I will be adding some more pictures! Thank you all for visiting my website! JB WIN MUCH MUSIC VIDEO AWARD FOR PARANOID!! It’s official! The boys won BEST INTERNATIONAL VIDEO Award for the ‘Paranoid‘ music video at the MMVA’s tonight. There was a pre-taped video of Joe accepting the award while he was in Africa! We will be adding it as soon as we can get a hold of it! Thanks everyone for confirming it! Nick Jonas has been busy rehearsing in London for his portrayal of “Marius” in the upcoming production of Les Misérables on the West End. We can report exclusively that Joe & Kevin Jonas will be heading to London for opening night tomorrow to cheer on Nick. Mr & Mrs Jonas, along with Frankie, are already in town, so the whole Jonas Family will be in attendance. Stay tuned to Cambio for an exclusive pic of the trio from London. Are you planning on seeing Nick as “Marius”? PS…don’t forget to tune into the season premiere of “JONAS L.A.” tonight at 8:30pm EST on Disney Channel. Cambio is all about connecting you to your favorite celebrities. Before Joe Jonas departs from Africa, where he has been busy visiting various schools and orphanages, he took the time to answer some of your twitter questions from @cambioconnect. @ahofficial asked: What would you do if you were not making music? @judiila asked: Did you guys ever feel like just giving up on reaching your dreams? Find out Joe’s answers below. 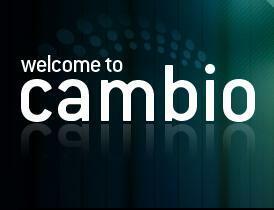 Make sure to follow @cambioconnect on twitter. You never know when we’ll be asking you for more questions for your favorite celebrities. You may see yours answered right here on Cambio.com! Also, before heading back to the US, Joe will be making a stop in London to support Nick at opening night of Les Misérables. KEVIN AND NICK ON THE SET OF JONAS L.A.
FRESNO BEE: JONAS BROTHERS RIDE SECOND SEASON ON TV TO L.A.
Jonas Brothers ride second season on TV to L.A.
TARZANA — A retirement age crowd of well-heeled gawkers packs a balcony at the Braemar Country Club, straining for a peek at the three young men who’ve shut down the links for the day. Joe, Kevin and Nick Jonas–better known as The Jonas Brothers–are filming an episode for the second season of their Disney Channel series “Jonas: L.A.” Season One was shot on a soundstage, but this season, scheduled to start 8:30 p.m. Sunday, is being filmed on location in and around Los Angeles. The premise is the guys have moved to L.A., where Joe gets a role in a movie and Kevin shadows a famous director. Nick takes up surfing and writes songs for the new “Jonas” album. This episode has the Brothers tricked into a golf challenge. Security is so tight that only a small group of journalists have been allowed on the course. Except for Nick, who started performing on Broadway when he was 7, the New Jersey natives have far more experience playing music than acting. They started touring in 2005, opening for Kelly Clarkson, Jesse McCartney and the Backstreet Boys. They’d only appeared on an episode of “Hannah Montana” and in the Disney Channel’s “Camp Rock” movie before landing the TV series. Besides the acting experience, there’s definitely an upside to this location. During breaks in filming, the brothers chat with club employees and work on their swings. Joe isn’t part of the golf story line, but he’s there anyway. He’ll be part of another scene, playing football with his brothers, late in the day. If it’s all starting to sound like a PG version of a certain HBO show, the comparison’s not lost on Kevin. “I think the show now has that ‘Entourage’ vibe, which is so cool. We’re all big fans of that show. To get ready to shoot this season, I watched all of the seasons again,” he says. He grins, acknowledging the language and situations in “Entourage” are not exactly Disney material. On a personal level, this season’s different for Kevin because he married Danielle Deleasa in December. TV and music obligations make it hard to stay home in Texas much. The brothers say they enjoy acting but music remains their passion, and they can’t wait for filming to be done so they can go on tour. They don’t have long to wait. The Jonas Brothers and Demi Lovato are scheduled to perform at the Save Mart Center Sept. 21 as part of a nationwide tour that starts July 27 in Dallas. LIKE every other kid in the country, all the Jonas Brothers want is a summer vacation to soak up some sun. Unlike every other kid in the country, the JoBros are prepping for concert tour and a shooting TV series. If they can’t sunbathe, they are making do with what they have: outdoor TV sets. The stars of the Disney Channel’s “Jonas LA” — the new name for the half-hour comedy series “JONAS,” which premiered in 2008 — are giddy recounting the joy at being released from the dungeon of a movie-lot studio for season two of their show. “For the first time, we were coming back home at night with suntans or sunburns and people were like, ‘Whoa!’” says Joe Jonas, 20. In the show, the brothers play highly caffeinated versions of themselves — New Jersey high-school dudes dealing with parentally-imposed trash duty, even though their humble garage band has turned them into international stars overnight. The reason for that is simple. What the JoBros want, the JoBros usually get. They talked about setting a season on a tour bus or galloping around New York. Finally, it was decided to move the show from a fictional New Jersey town to glitz-and-glam LA. What’s hard for viewers to relate to is the brothers’ treadmill-like existence. Most people their age would be recovering from spring semester at college, not prepping for a 45-city concert tour. “We do have breaks!” Kevin insists, adding that they’re part of a balanced schedule. In the past year, the brothers have ventured off alone more often. Kevin got married. 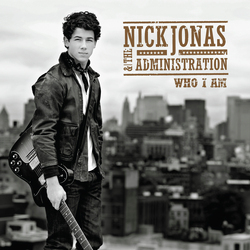 Joe appeared as a guest judge on “American Idol” and Nick went on tour with his own band, Nick Jonas & the Administration. Somehow, being off on their own lately has made it easier to return to the Jonas Brotherhood, they say. Residents of Maun last week braved the chill to watch, probably for the first and last time in their lives, American recording artist Joe Jonas performing live at a charity event last week. The old and young alike thronged the grand stand of Maun stadium to watch Joe Jonas performing for a charity event. His performance was part of Prince William’s visit and charity work in Botswana, which attracted a large size of the US and European media. “I am so happy to be here. It is cold, but we are going to have fun”, said the 20 year old Joe as he got on stage. Joe Jonas is an American singer, musician, actor and dancer. 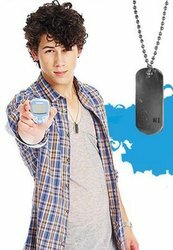 He shares the lead singer role with his younger brother Nick, in pop rock band The Jonas Brothers, which also includes their brother Kevin. He currently stars as Joseph Lucas in the Disney Channel original series Jonas. Joe later told the Sunday Standard he it was his first visit to Botswana. “This is my first ever time in Africa”, he said. Joe, who was also doing his charity work in the country also got the chance to meet Prince William. The Prince was doing his charity work in Maun as part of the Coaching for Conservation initiative, a conservation project in Botswana that blends soccer skills with wildlife protection. He has been in the country since last week as part of the charity tour. “It is incredible what the Prince is doing here. He is a great guy and he makes a huge difference to these kids. Children will be able to respect each other through music and football”, said Joe Jonas. After he performed on stage, Joe had the chance to chat with Prince William. “We primarily talked about the event. He thanked me for coming here” he said. The Jonas Change for the Children charity gives hope to children around the world. HAPPY JONAS L.A. PREMIERE DAY!!! This is the official post to comment on all things JONAS LA! Are you guys excited? What do you expect from this season? Remember to tune in tonight at 8.30pm to watch the first episode ‘House Party’ and then let us know what you think! Also, if you’re up to it, we want to get #JonasLA trending on Twitter. Want to help us? Just add the tag at the end of every tweet, even if it’s not related to what you are saying. So come on in and make yourselves comfortable, it’s a JONAS LA Premiere party here at It's A Jonas Life! WOOHOOOO!! Can we all just collectively “aww” at how amazingly sweet this is? 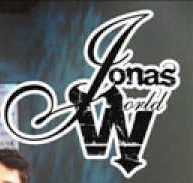 It's A Jonas Life is made by the fans, for the fans. We are not the Jonas Brothers or anyone associated with them. 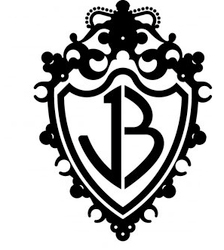 Please note that with everything you take from this site is the property of It's A Jonas Life. If you have any questions, contact us. Think Our Website Needs A Little Something To Make It Better? Suggest It Here! Don't Miss Your Chance! We Have Only The BEST Jonas Brothers Tickets Available For You! Click Here For Tickets!